The sky is just starting to lighten, enough for me to see my way into the garden. The coolest part of the day in a week of 90’s with little chance of rain. Of course, dawn (and dusk) are also the times when mosquitoes and other garden bugs you don’t want to see are out doing their daily dance. Bees and other pollinators won’t be up for a little while, so it is the best time to get your watering done and any organically-approved spraying you are going to do. I like to water my garden by hand. As I hold my hose low to the ground to soak the dry earth around each plant I can keep my eyes on leaves, stalks and flowers to see what might be attacking my plants. You will not get this important information by turning on a sprinkler. Then, when my watering is done. I can come back with my organic-approved insecticidal soap spray and get those areas that need such attention. Of course, if I see any Japanese beetles or Stink Bugs, I just get those by hand, squishing them with appropriate scorn. But mosquitoes have always been the one thing I hate about gardening. They are annoying and now we understand just how dangerous they are. They don’t bother my precious vegetables, herbs and flowers, but they can spread Malaria, Dengue Fever, Yellow Fever, various types of Encephalitis, Chikungunya, West Nile Virus and now, Zika. And of course, for your pets, mosquitoes spread Heart Worm. I have chickens who eat mosquitoes. I also do all the usual things to keep skeeter populations down: Keeping my grass mowed very short, eliminating standing water including turning over all unused flower pots, cleaning my bird bath every couple of days, and sprinkling some all-natural repellant granules in the grass (really helps), but I have neighbors who are not necessarily doing those prophylactics, so inevitably, if unprotected, I will get a few bites. 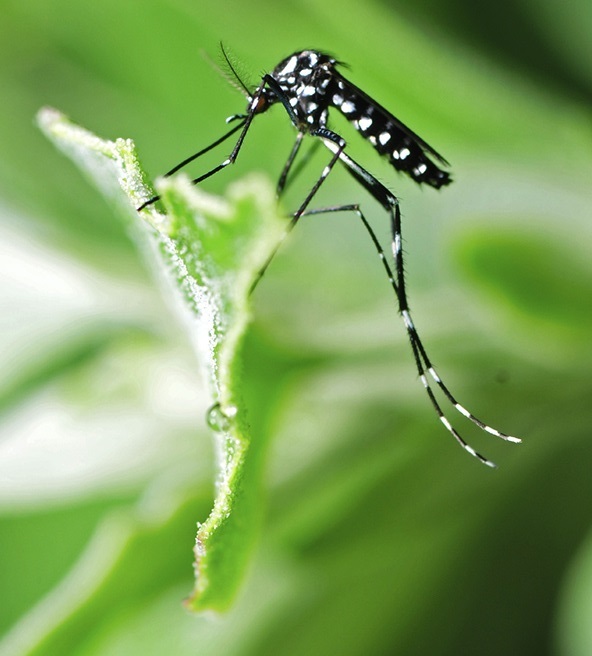 DEET, though effective, is not without negative health implications. According to the journal Scientific American, “Duke University pharmacologist Mohamed Abou-Donia, in studies on rats, found that frequent and prolonged DEET exposure led to diffuse brain cell death and behavioral changes, and concluded that humans should stay away from products containing it.” I don’t trust Bayer’s Picaridin because, well, its made by Bayer — a German chemical/pharma giant which got its start producing Xyklon-B for Nazi death chambers and who now produces bee-killing/environment poisoning neonicotinoids for your garden. So I have been using a very good natural formula I worked up for keeping mosquitoes at bay and will be offering it for sale at the Warren County Farmer’s Market. It is made with ALL ORGANIC ingredients and I believe it confuses the skeeters’ detection system long enough to protect me out in the garden for a couple of hours at a stretch before reapplying. The active ingredient is Organic Lemon Eucalyptus Oil (OLE) which was recently recommended by the CDC as safe and effective. It works by blocking mosquitoes’ chemical receptors so they do not “see” you. I will be offering 4 oz spray bottles of CherryGal’s Organic Skeeter Spray for a modest price. I hope you will give it a try — for yourself, your family and your pets!